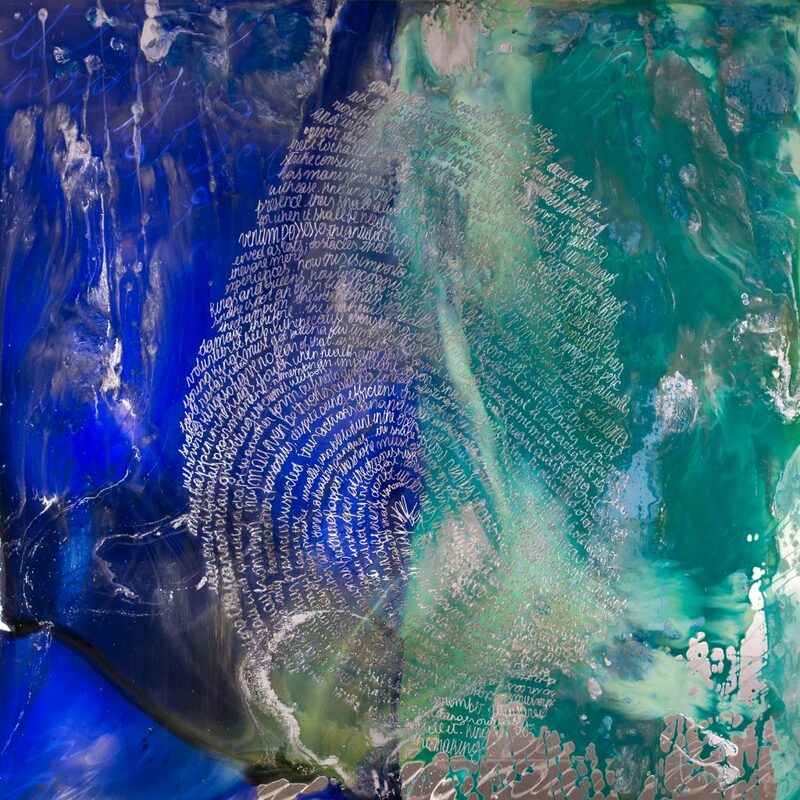 As a representative of the finger print series this piece embodies the essential elements which the series aspired to expose; color, surface and written content. The paint splits the surface in opaque and transparent sides, which are then unified through a common etching of words. The text is free and unrehearsed, it is personal and does not seek approval or admiration; it merely offers insight into a moment and a thought. It should be viewed as an intimate discovery more so than a manifesto. Words should not be so definite as to corner our logic, rather they should project the multitude of directions, possibilities and contrasting realities that govern the mind.